MURRAY, RHOEYCE & BENJAMIN, JR.
After finishing his residency at Johns Hopkins University Medical Center in Baltimore, Maryland, Carson became the director of pediatric neurosurgery there. 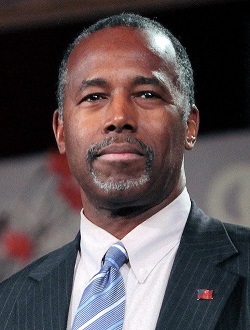 He held that position for 29 years, and during his tenure, successfully completed several ground-breaking surgeries, including the first successful separation of twins conjoined at the back of the head.A candidate for the presidency in this year's Republican primary, Ben Carson grew up in a poor, single-parent household in Detroit, Michigan. Initially a student earning mediocre grades, his mother encouraged him to read and cultivated his love of learning. In high school, Carson became an excellent student and went on to earn an undergraduate degree from Yale University and graduate from the University of Michigan’s medical school. Between his degrees, Carson worked as an X-ray technician, a bank teller, a school bus driver, a supervisor for highway cleanup crews, and a crane operator in a steel factory. In 2001, CNN and TIME named Dr. Carson one of the nation’s 20 foremost physicians and scientists. That same year he was selected by the Library of Congress as one of 89 “Living Legends.” He is the recipient of the 2006 Spingarn Medal, the highest honor bestowed by the NAACP, and was awarded the Presidential Medal of Freedom, the highest civilian honor in the United States, by President George Bush in 2008. A candidate for president in the 2016 Republican primary, Bobby Jindal served as the governor of Louisiana from 2008 through 2016. He is the first Indian American governor in U.S. hisory. 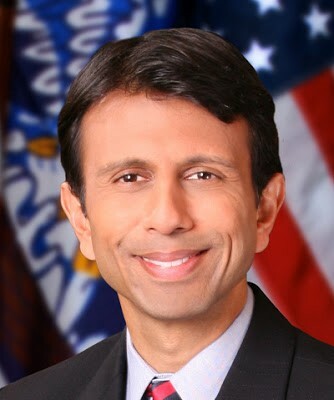 Jindal assumed office in the period between two of the worst natural disasters in Louisiana history. He helped the state continue to recover from Hurricane Katrina (2005) and led the response to Hurricane Gustav (2008), which required the largest evacuation of citizens ever conducted in the United States. During Governor Jindal’s tenure in office, Louisiana cut government spending by 26 percent, added 90,000 new private sector jobs, and attracted $60 billion in private investment. As the economy improved, the number of people employed and wages reached their highest levels in state history. For the first time in 25 years, more people moved to Louisiana than moved away. Governor Jindal is also an expert in health and education policy. He served as the president of the University of Louisiana System, and he has also led state and national healthcare efforts, serving as secretary of of the Louisiana Department of Health and Hospitals (1996) and assistant secretary at the U.S. Department of Health and Human Services (2001-2003). Today, Jindal is the chairman of Next America, a policy group he founded in 2013.